Some users of the Linx 1010b tablet may have noticed that their device fails to recognise any major Windows 10 updates beyond November 2016. The biggest giveaway to this is seeing messages on the app store prompting the user to upgrade to Windows 10 Anniversary Update, or upgrading to a tablet with more features. The traditional way of heading in to Settings > Updates & Security also fails to retrieve any updates to Windows 10, in particular the Anniversary Update. The Anniversary Update brings about many changes to Windows 10. It’s more refined and the tablet-mode is more intuitive. Microsoft’s second overhaul of Windows 10, known as the Anniversary Update, is well worth it. This guide is for users who are unable to automatically update to Windows 10 Anniversary Update. There are other methods of forcing the upgrade, however the following method is the fastest and easiest way for non-technical users. Step 2: The webpage should automatically recognise that you are visiting from a Windows 10 tablet. Step 3: Select the option to Upgrade this device. Step 4: An installer will download. Once the download is complete, launch the exe file. 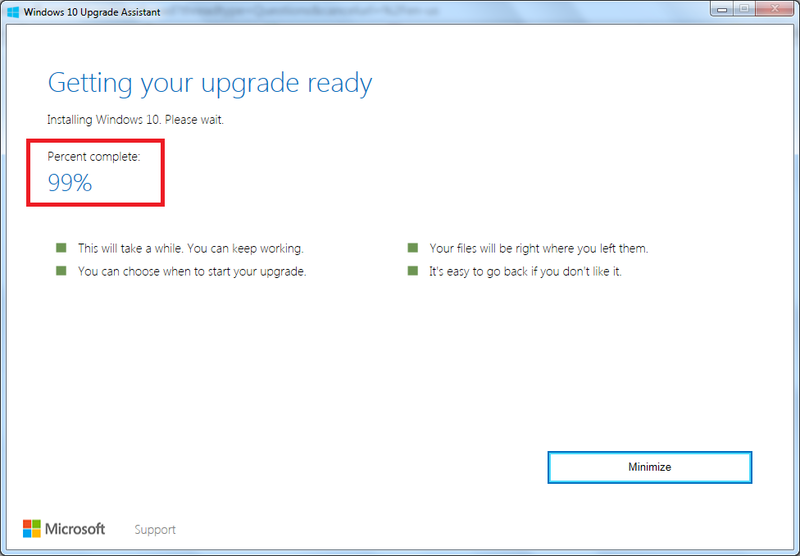 Step 5: This installer will now take you through the upgrade process. First, it will check and display the minimum requirements – if your device does not meet these requirements, it will not let you proceed. For the Linx 1010b the only troublesome area will be the storage space. You need 8GB of free storage space for the upgrade files. Step 6: The installer may take up to two hours to complete. Your tablet will automatically restart several times. To avoid failure and loss of data, ensure your tablet is plugged in to charge during the entire process. Step 7: Once the process has completed, you will notice a much improved user interface and a more responsive experience from your Linx 1010b tablet. If the above method does not work for you, you may want to consider downloading the Media Creation Tool and Windows 10 ISO file from the link in Step 1. You can then proceed to create a bootable USB drive to install Windows 10 Anniversary Update from scratch.